We are so happy to have a brand new newsletter out for the world to enjoy. We’ve put bits and pieces of the different things we’re doing as well as some fun and interesting articles that can help with your business solutions and even some relaxation techniques (who doesn’t need those?). So take a few moments and read over our newsletter and maybe even sign up for a drawing or two! We even have a coupon in there for a discount on a website!! Click on the image to go to the full newsletter. 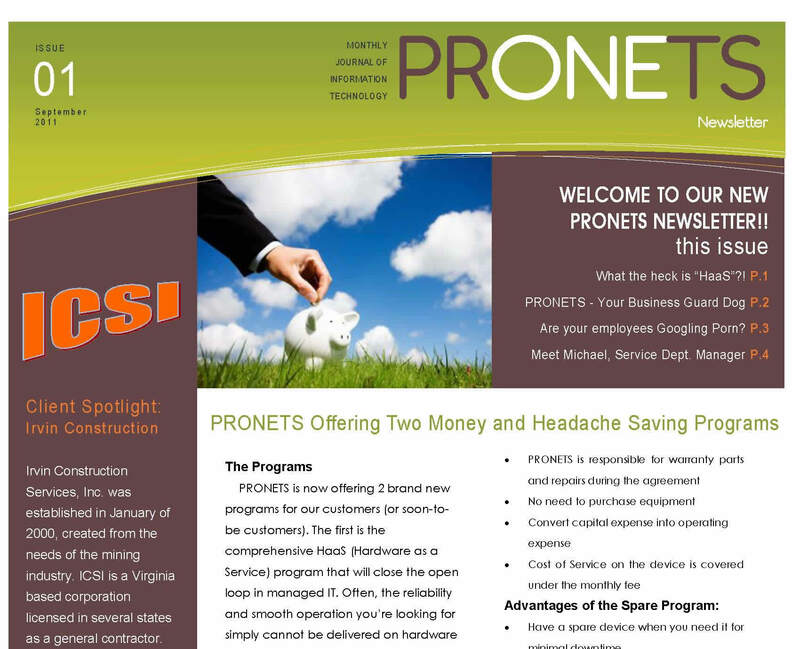 At PRONETS, we work really hard to keep your technology running smoothly. We also value the importance of “Down Time”, so Labor Day weekend, we spent the last hour of the day catching up, enjoying some snacks & beating the heck out of a piñata! Click HERE to see the photos!